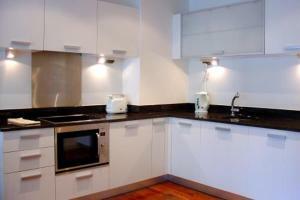 A spacious apartment in a great location. Comfortable, just what we wanted. Easy communication with host. 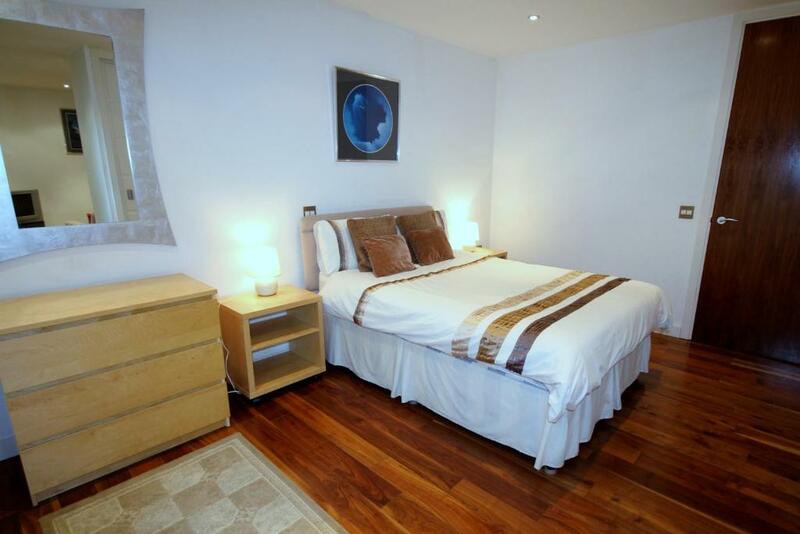 Location close to Manchester Victoria station. Powerful shower. The apartment is in a very good location, 5 minutes walk to the MEN arena and a 5 minute walk to the Centre. 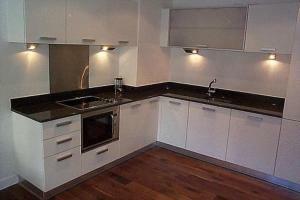 The building block is very clean and secure and the area is very nice. Very spacious with an open plan style and the balcony is lovely. 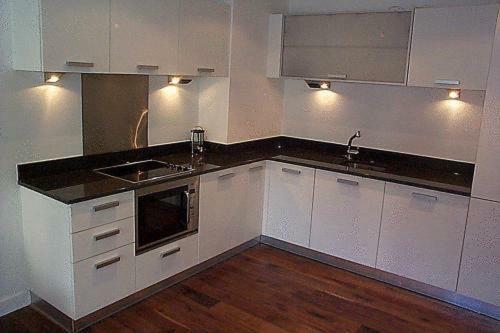 Lots of facilities in the kitchen and lots of storage. This was a last-minute booking after having the run around and then dumped by my first-choice venue. I booked this apartment and within 15 mins I was in the apartment and settled in. It couldn’t have been easier. The location is truly second to none. A 1 min walk and you’re on Deansgate the heart of Manchester City Centre with all its attractions. Yes I would book this apartment again. It was just on top of my meeting place for the following day. 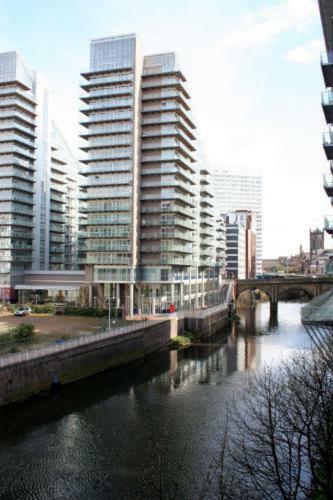 On the River Irwell, these Manchester city centre apartments offer secure parking, near vibrant Deansgate with its restaurants, bars and cinemas. The MEN Arena is close by. 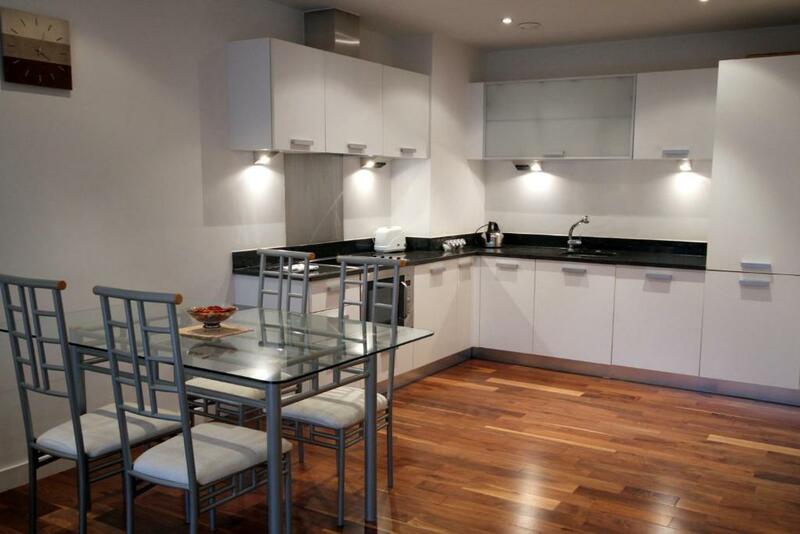 Each designer apartment at The Edge has a lounge/dining area, a balcony and a double bedroom. 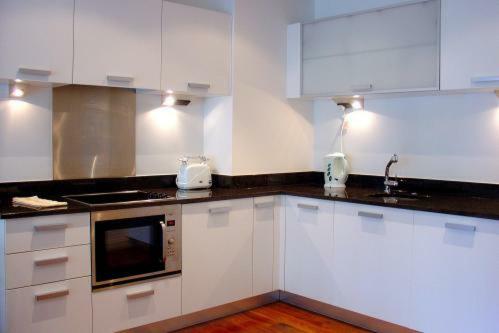 Travelling Light Apartments @ The Edge feature modern Italian kitchens and stylish bathrooms. The Edge is within easy walking distance of the main shopping district with its department stores and boutiques, including Harvey Nichols and the Arndale Centre. Travelling Light Apartments @ The Edge has been welcoming Booking.com guests since 12 Jan 2010. When would you like to stay at Travelling Light Apartments @ The Edge? 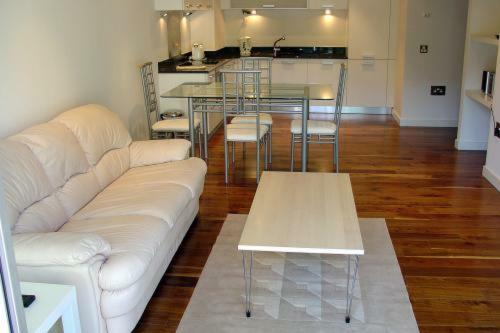 Modern apartment with balcony overlooking gardens, spacious lounge/living/dining area, fully equipped Italian kitchen, Canadian walnut flooring. 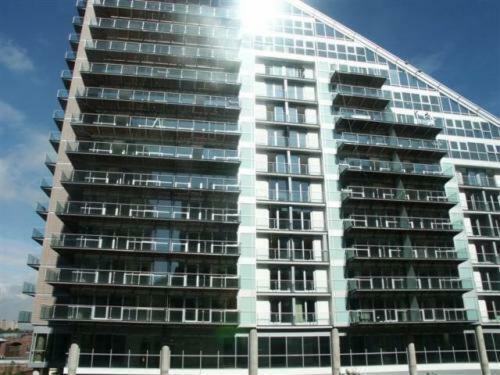 Spacious, contemporary apartment featuring, large balcony overlooking the River Irwell, spacious lounge/living/dining area, fully equipped Italian kitchen, Canadian walnut flooring. 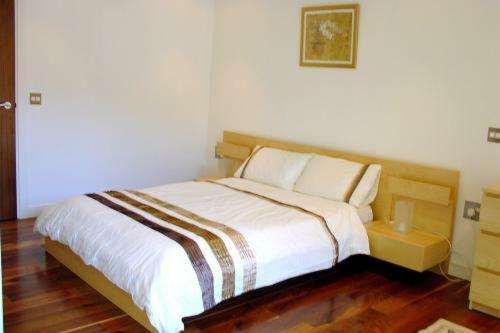 House rules Travelling Light Apartments @ The Edge takes special requests - add in the next step! Travelling Light Apartments @ The Edge accepts these cards and reserves the right to temporarily hold an amount prior to arrival. The bed was very firm. Towels were not very soft. No wifi. Furnishings are dated. Awful apartment weird setup gap missing from front door, dusty, dirty and not secure. Host decided to give mobile phone instructions on how to get the key when I arrived, alone, tired and handling luggage, rather than personal greeting at the property. It would be hopeless if someone has no mobile phone, or the phone is running out of battery arriving late at night. Only 2 ceiling lights in the bathroom, and one not working, reducing visibility by 50%. Loose tiles inside the shower - dangerous! Only one bedside light which did not work. TV not working. Again the hosts gave instructions over the mobile phone expecting the guests to sort out the control which did not work, rather than making sure in advance after the last guests departure that the TV control was working. Effectively, that's wasting guests time to sort out the TV control, while the host was not providing the expected maintenance service before guests' arrival. PVC sofa very well worn. blinds are worn and part missing. many lightbulbs were not working. Each mobile phone call from host was either gave instructions on how to get the key, or how to fix the TV, not once did anyone ask if I found the place in good order. They are more interested in when I would be leaving the next day and emphasized that I must leave before 11am. The final mobile phone call came just after 9am in the morning which I missed, then they followed up with a text telling me to ensure to leave the key as I found it. - without even one word saying that they hoped I had a good stay! Contact was only by mobile phone calls and not sure what would happen if the guests have no mobile phone or no battery on the mobile phone. Everything! The host was abrupt and frankly rude, the apartment was not as expected- Needs updated and a better check-in system, the rug in the living area was grotty and covered in burns, furniture was generally old and tired, getting into the apartment was made very stressful when it didn't need to be, all I needed was the instructions of where to get the key instead I was made to call the host several times and given lectures about everything and made to feel stupid, then sent to another apartment as the first one was not liveable, the instructions on how to get there were poor and I ended up lost upset and soaked! A male host spoke to me who was lovely and gave very clear directions immediately, just wish I had spoken to him sooner! I think he should deal with the bookings as he has much better people skills , I ended up not staying in either apartment and paying another huge amount of money to stay somewhere I felt was safe and clean! Customer handling was worse, sounds like I was dealing with some school teacher asking me thousands of questions before arrive. When I arrived found no one on the property she told me over the phone to find the key in secret place. I feel that the apartment is very overpriced. That is the only negative side to it. It’s a little bit dated and could do with a freshening up for the price you pay for it. Was disappointed in what it was when we paid £200 for one nights stay. Process for key collection was stressful and I was unsure what was going on with the parking. I thought it was all sorted when confirmed with booking.com but that was not the case. It wasn't sorted until days later. The apartment itself is in a nice building but the bed / TV / stereo etc are beyond dated! Very poor quality towels and bed linen, and bring your own bottle opener! And extremely poorly stocked bathroom amenities. Almost empty hand soap, half a roll of toilet paper, empty shampoo dispenser and what smelled / felt like hand soap in the shower gel container.